This oil cleared my acne and regulated my hormones! My anxiety is also reduced as well due to all the stress. I highly recommend it to everyone. I also buy it for my mom who has fibromyalgia and she said it helps. I would suggest the higher mg dosage for people with serious chronic conditions. Waiting for a sale for the 3000 mg bottle for my mom as it’s not affordable for us right now. Love this, Ive been taking it every night before bed! It really helps me fall asleep faster. My thoughts no longer race a mile a minute when I try to fall alseep! Only thing is it doesn’t taste very good. 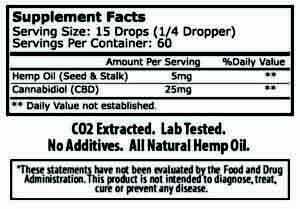 I initially started utilizing CBD for anxiety, insomnia, and panic attacks; I was sold after the first tincture purchase. Recently, I was diagnosed with a musculoskeletal inflammatory disease and have been using this tincture for inflammation reduction, pain reduction, muscle spasms, and appetite stimulation. Consuming a holistic, plant-based product for these ailments instead of artificial chemicals feels incredible. Thank you for making your products so accessible and for educating people on the benefits of holistic healing. I have been using this for my severe anxiety and it has helped so much. It has also helping relieve chronic back pain I’ve suffered for 16 years with. I had to stop taking pain meds because I developed other health issues. Now with this Full Spectrum, my problems are starting to be resolved. Thank you !! Cant wait to order more !